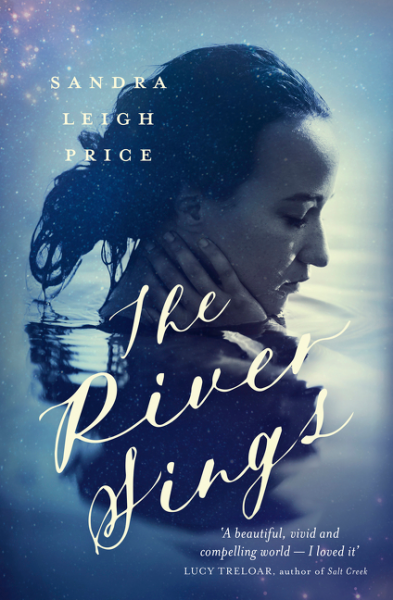 [The River Sings] is sprightly and elaborate – and it flirts with the works of Charles Dickens in a way that’s startlingly clever. It’s Oliver Twist with a feminist twist; Great Expectations remixed. Thanks, as always, to Jean and Linda from NRB for inviting me to review for them, as well as for editing my words. Here’s the rest of my review. 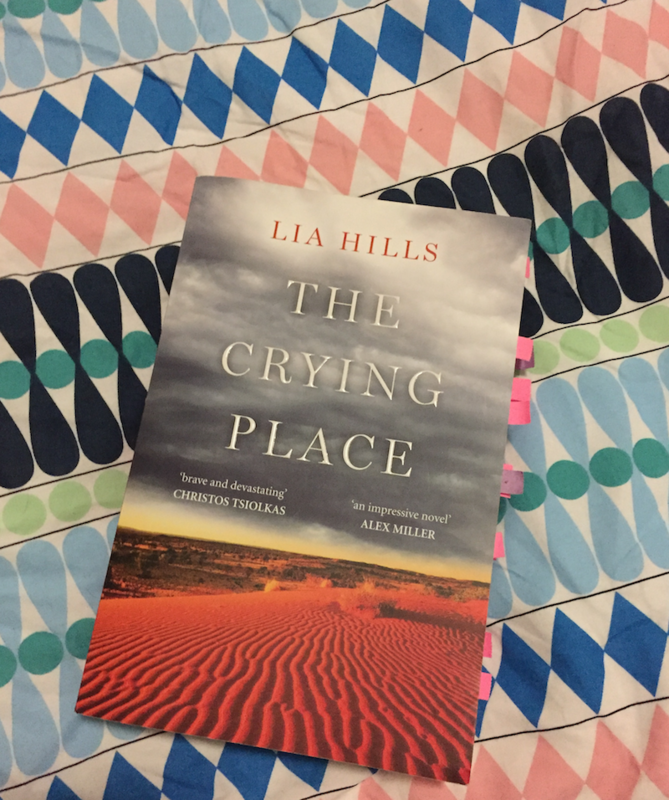 The Crying Place is Lia Hills’s second novel, and it moves at an unhurried yet insistent pace, like looking into the distance from the window of a fast-moving car. It’s been a while. Jean and Linda at Newtown Review of Books – literally the kindest editors and most patient people in the world – let me write a review for them. It’s my first for the year and it’s the first day of June tomorrow. The year’s nearly half over. How does that even work? I’m working on another review, which I hope to have finished soon. Fingers crossed. The Great Reading Slump of Twenty Sixteen Slash Seventeen…might be over? Yeah, I know I’ve always been That Person barges her way into bookish conversations boasting OH, I SIMPLY CANNOT BEAR TO LEAVE A BOOK UNFINISHED. But for a few months, I’ve been struggling to read a full book. My attention wanders off, and the book sits on my bedside table or in my bag for weeks on end, making me feel guilty and grumpy every time it catches my eye. However. I read a book recently and found myself distracted during the day, wishing I could somehow get out of what I was doing and just keep reading. I remember that feeling! I’m glad it’s back. I’m working on a secret project. It’s a memoir. Of all the things I could possibly write, I never thought I’d find myself contemplating writing about my incredibly boring life. And besides, what do I know about writing memoir? I’m still trying to convince myself that this is the baddest of bad ideas, so I won’t say too much…but the idea seems to have taken hold of me and I’m stuck with it now. I’m interested in where this idea will take me. Maybe nowhere. I often end these posts by saying something along the lines of “I’ll write more soon” – which doesn’t always happen. But now I’m reading again, who knows? Let’s just throw everything into the air and see how it lands. Like buttered toast. I photographed my neighbourhood, where fresh concrete walls climbed skyward, leaving crumbs of soil around their edges, as if they were plants pushing up out of the weeds. I knew every speck of view from seven floors up. If I pressed my nose against my bedroom window, I could follow the bony backs of cats stalking invisible prey in the giant hole gouged from orange clay, which we called ‘the quarry’ … The quarry reeked of cats’ piss and rotting fruit mingled with sweet, poisonous exhaust fumes. It didn’t stop people from climbing to the quarry top on the evening to watch the sun drop into the sea. I’d train my lens on them as they munched snacks and danced to tinny taped songs, while their faces turned yellow, then red. 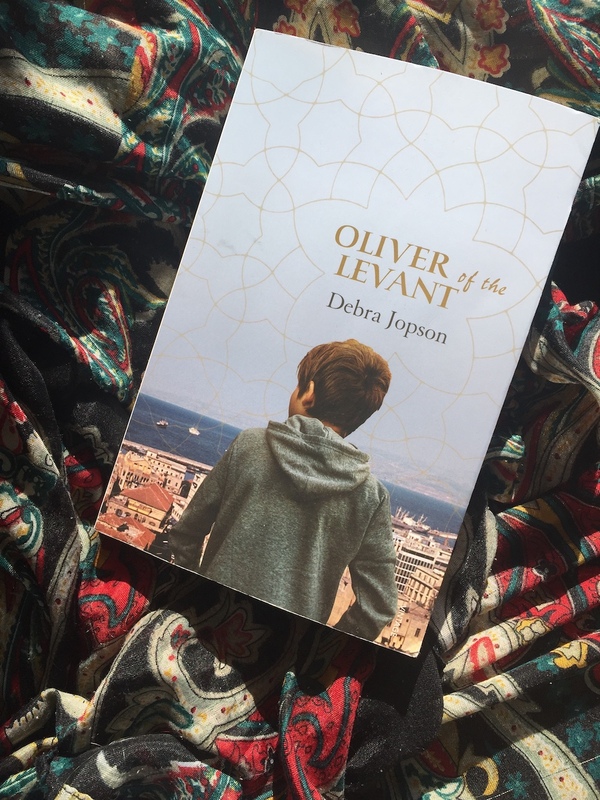 Here’s a little extract from Debra Jopson’s “wise, nuanced coming-of-age story”, Oliver of the Levant, which I reviewed for Newtown Review of Books last week. My thanks, as always, to editors, Linda and Jean. 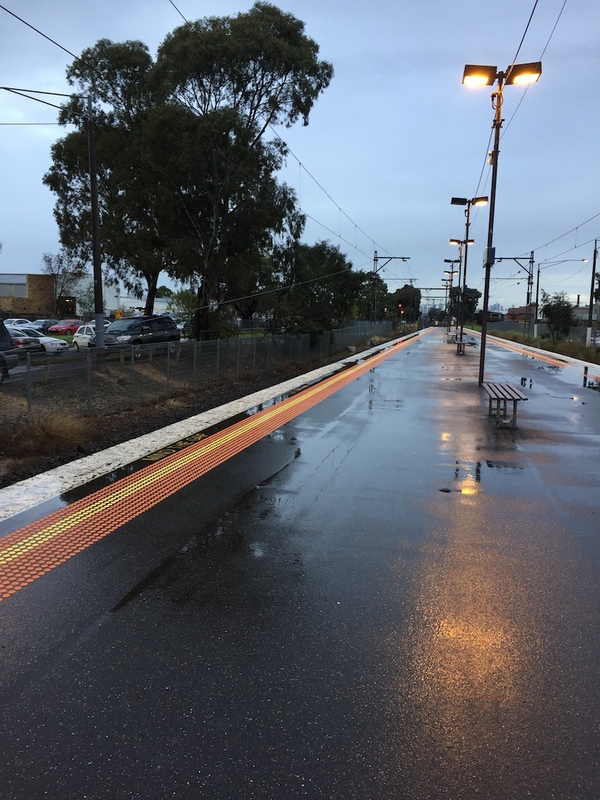 Click here to head over to NRBland and have a read. One day I heard what sounded like music, very faint and far away. I thought I was hallucinating, and kept walking. But every time I passed the entrance to a certain west-running hallway, the same thing would happen: fragile drifts of notes and slow arpeggios, as if a ghost in a curtain-muffled room were playing a piano. I was too embarrassed to ask if anyone else had heard it; was I starting to crack up? But one day when there was no one else around I went in search of it. I found that an intersection of two corridors had been roofed in glass or Perspex. Two benches had been placed against a wall, and from a tiny speaker, fixed high in a corner, came showering these delicious droplets of sound. It was a resting place that some nameless benefactor had created, for people who thought they couldn’t go on. 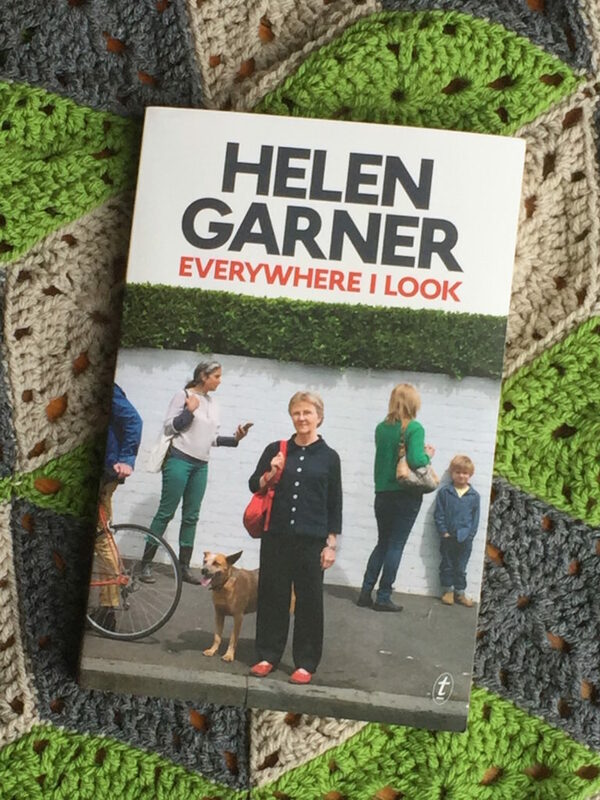 Linda and Jean from Newtown Review of Books were kind enough to let me review Helen Garner’s latest, Everywhere I Look.